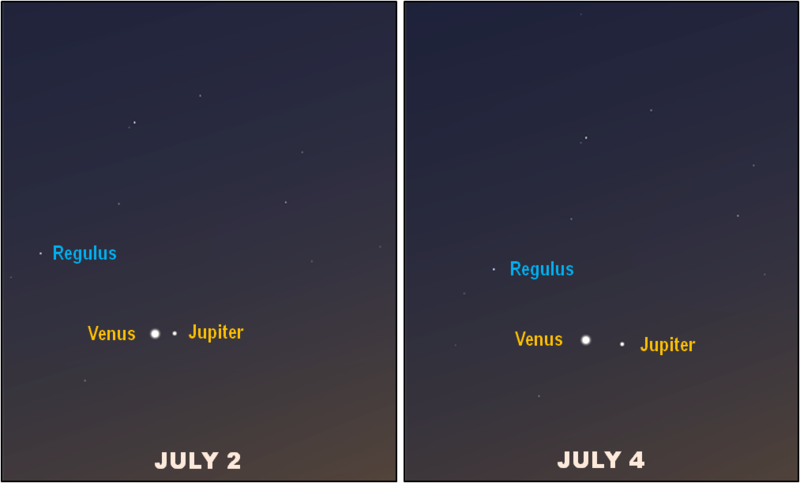 The brilliant planets Venus and Jupiter stand side by side like a couple of celestial headlights in early July. Venus is the brighter of the two. It will move up and away from Jupiter over several nights. These views are about 45 minutes to an hour after sunset, looking due west.